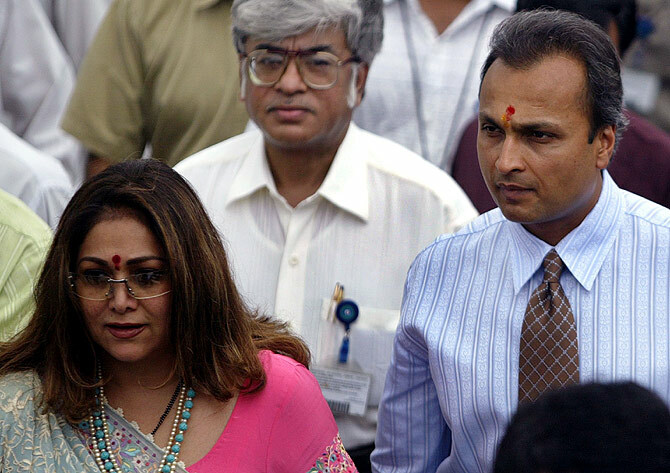 After her husband Anil Ambani, Tina Ambani appeared in a Delhi court as a witness in the 2G spectrum case and CBI claimed that she was "deliberately withholding facts" which the judge found was "adverse" to the prosecution. Special CBI judge O P Saini hearing the case said her adverseness sprang from her failure to recall about the companies, said to be associates of RADAG, relating to which she had signed the documents. "In the instant case, though there is no previous statement of witness (Tina), nor has she introduced any new fact adverse to the prosecution, but has certainly signed some documents, which have been shown to her. "As such, her adverseness springs from her not recalling about the companies relating to which she signed the documents," Judge Saini said while allowing the CBI to cross-examine its own witness Tina Ambani. Tina Ambani appeared as a prosecution witness in the 2G spectrum case and told a special court that she had "no role" in the affairs of Reliance ADAG. 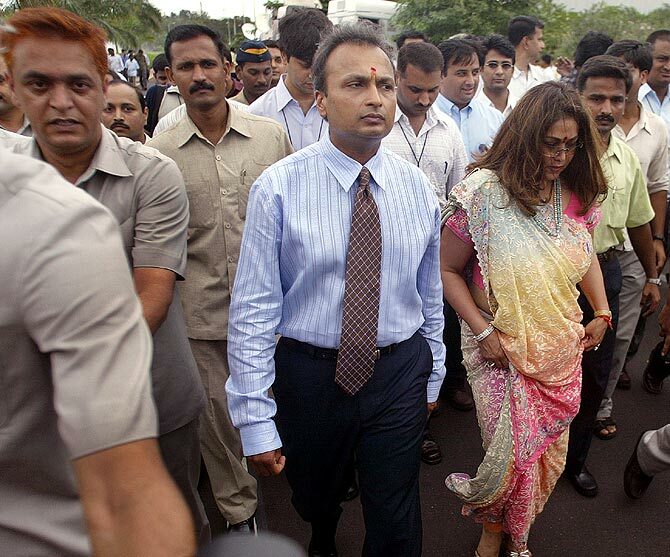 Image: Anil Ambani (R), chairman of Anil Dhirubhai Ambani group, his wife Tina (C) in Mumbai. A day after her husband and Reliance ADAG Chairman Anil Ambani's deposition as a CBI witness, she told the court that she has never been associated with any firm of Reliance ADAG. "I have no role in Reliance ADAG as I am a housewife, run a hospital...I have never been associated with any Reliance ADAG company," she told Special CBI Judge O P Saini. 55-year-old Tina Ambani was shown documents of various firms said to be associated with Reliance ADAG, including Zebra Consultant Pvt Ltd, Swan Consultant Pvt Ltd.
She, however, said she does not have "any knowledge" about these firms. During her examination-in-chief by CBI prosecutor K K Goel, she was shown various documents related to the case and she identified her signatures on them. When she was asked to identify the signatures of Anil Ambani on some of the documents, defence counsel objected to it saying when the Reliance ADAG chairman had already identified his signatures then why was she being asked to identify them. Senior advocate Harish Salve said that it seems that CBI is "doubting" Anil Ambani's signatures. 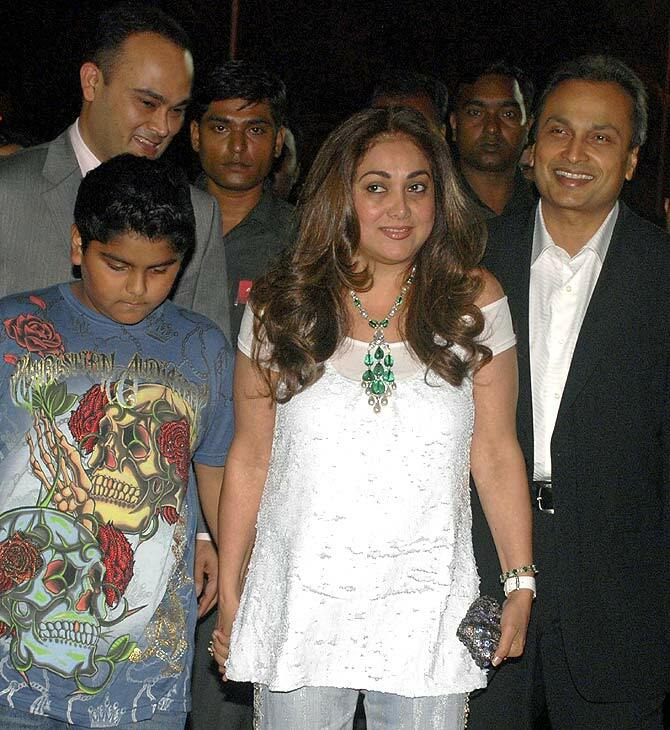 Image: Anil Ambani (R), chairman of the Anil Dhirubhai Ambani enterprises group, and his wife Tina Ambani. "They bring a witness and do not trust his/her memory. What is this?," Salve said, adding, "If he has appeared and has identified his signature then why are they showing her (Tina) his signatures. Are they doubting his (Anil Ambani's) signature?." To this, the judge told Salve, "I agree with you." On Thursday, Anil Ambani had deposed as a CBI witness in the case during which he resiled from a statement made during the probe and "did not support" CBI's case. In his four-hour long deposition, he had denied that Swan Telecom was a front company of his group RADAG for securing the precious radiowaves. Since Anil Ambani had not supported CBI's case, the agency decided not to drop Tina Ambani as prosecution witness saying he "has not supported the prosecution case" requiring her to stand in the witness box. Image: Anil Ambani with Tina Ambani in Mumbai. Lalit said that Tina has not "disclosed true facts" in the court regarding identification of some persons, companies and the business conducted in the meetings of these firms. The defence counsel opposed Lalit's arguments saying "no foundation" has been laid for asking such question and Tina has neither resiled from any of her earlier statements nor has she denied her signatures. The court, however, permitted the prosecutor to ask questions from Tina while overruling the objections of defence lawyers. During her deposition, the judge remarked that Tina was better than her husband Anil Ambani in answering questions in the court. "Ye Ambani sahab se to better hai (She is better than Ambani)," the judge said with a smile. When the prosecutor continued asking questions to Tina, senior advocate Harish Salve said, "I agree she is a very charming witness and that is why the prosecutor wants to go on and on." This remark, however, did not go well with the prosecutor requesting Salve not to pass such comments.